LOOK NO FURTHER! YOU'VE FOUND AN ACRE HOMESTEAD IN MANDEVILLE! NEED TWO ACRES? THREE? FOUR? FIVE? YOU ARE IN LUCK...5 CONTIGUOUS ONE ACRE PARCELS ARE AVAILABLE FOR PURCHASE. FLOOD ZONE "C". PLEASE SEE MLS#2110889, 2110890, 2110891, AND 2110893. CITY WATER AND SEWER. 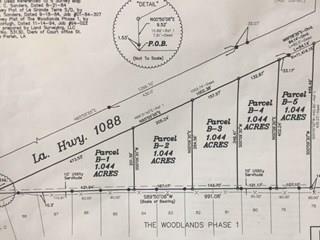 PROPERTY BETWEEN ESTABLISHED WOODLANDS NEIGHBORHOOD AND HWY 1088.